In the aftermath of demonetization, India saw a whopping growth in online financial transaction. The ground-breaking move well and truly gave impetus to digital transactions in India. 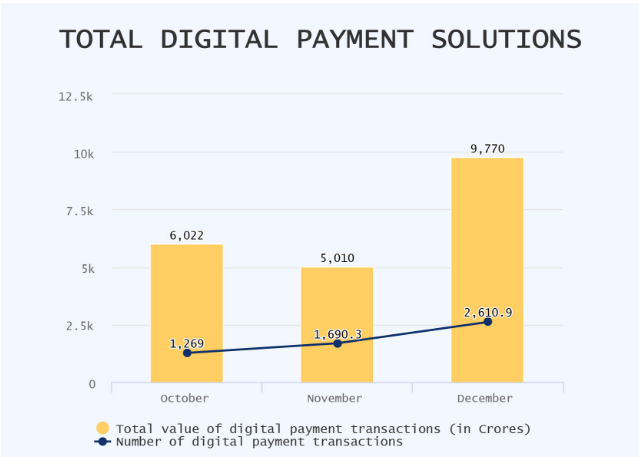 India saw a staggering 105% rise in digital payment solution post-demonetization. The figure sharply inclined from a total value of Rs 6,022 crore in October to a total value of Rs 9,770 crore in December of 2016. 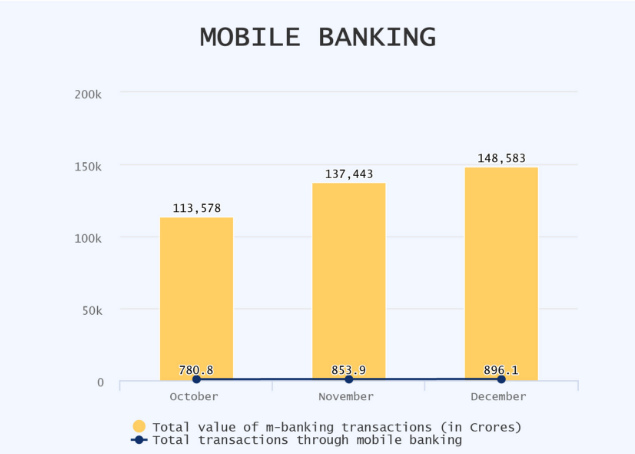 The mobile banking front witnessed a 30% rise. Total value in transactions rose from Rs 1,13,578 crore in October to a total value of Rs 1,48,583 crore in December. The growth witnessed in the wake of demonetization is but a tip of the iceberg. India is eyeing at a widespread cashless economy as finance minister Arun Jaitley announced a mission to reach 2,500 crore cashless transactions in 2017-18. According to him, Banks will add another 10 Lakh Point of Sale machines and Government is also looking to unveil another 20 lakh Aadhaar based PoS machines within September of 2017. According to Jaitley, Government is also considering to make cashless payment facility mandatory in petrol pumps, hospitals and government offices like block offices, road transport offices. How Secured is the Cashless Economy in India? Rise in online monetary transaction trigger a surge in cyber crime in India as well. Registered incidents of several different types of cyber crimes like banking and credit card frauds and hacking saw an alarming 40% yearly increase. 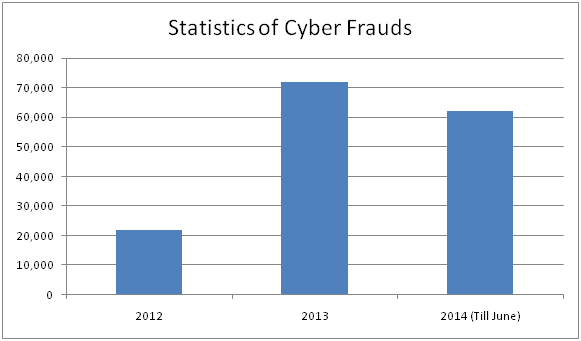 Let's take a look at the rise in cyber fraud incidents in last few years. According to statistics revealed by Home Ministry, there were 71,780 cyber frauds in 2013, 22,060 in 2012 and 62,189 incidents of cyber frauds till June of 2014. Cyber crime cases registered under the IT Act surged nearly 300 per cent between 2011 and 2014. 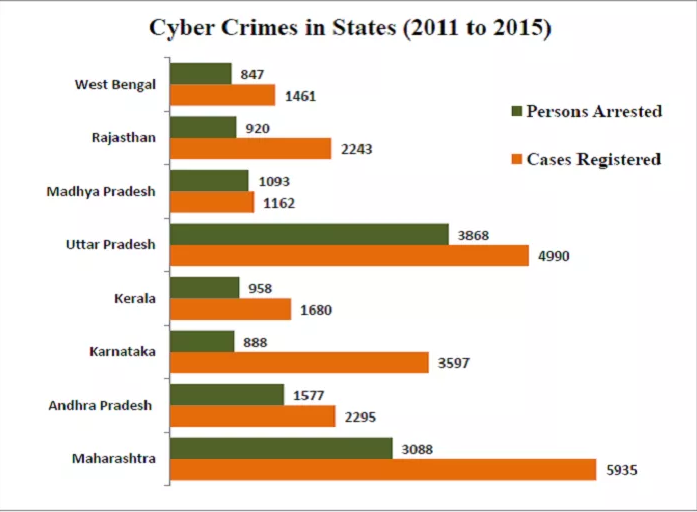 Among all the states in India, Uttar Pradesh and Maharashtra top the list when it comes to cyber crime. With growing usage of smartphones and internet, India has become one of the lucrative targets among cyber criminals. This is why cyber security needs to be enhanced in India as individuals and businesses are jumping on the bandwagon of digitalization of financial services. In October of 2016, Indian banks like SBI, HDFC Bank, ICICI Bank, YES Bank and Axis Bank were hit by an ATM card hack which eventually affected a staggering 3.2 million debit cards. State Bank of India (SBI), the largest lender in India fell prey to cyber frauds and is now looking to shield its 30 crore customers through cyber insurance. Bank of Baroda, had to compromise 1 lakh of its debit cards in the recent episode is keen to get cyber insurance covers as well. How to Keep Online Financial Transaction Safe? Thanks to the smartphone revolution, online financial transactions have caught on among Indian population, especially among young urban generation. Apart from e-commerce and m-commerce services, usage of digital platforms have become increasingly popular for an array of value added services such as cash back, loyalty points, bill payment facilities, rewards and ease of use. 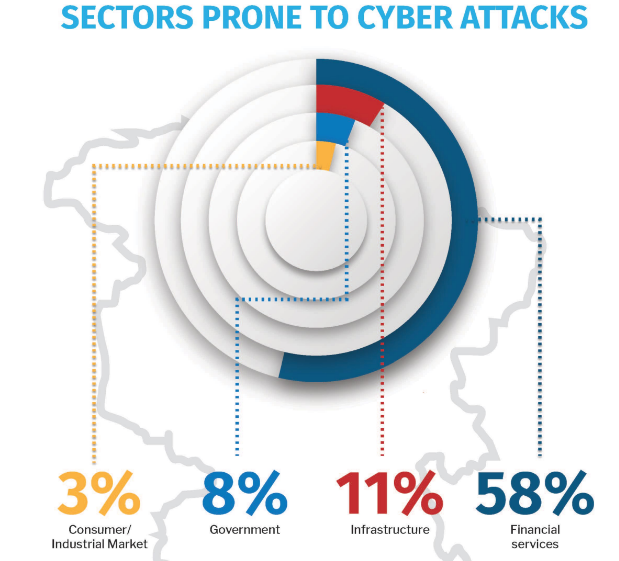 To make the most of these advancements without being vulnerable to cyber attacks, players in financial sector are now finding cyber insurance imperative to strengthen their cyber security. Cyber insurance is designed to protect businesses such as finance, IT against expenses and liability due to loss or theft of data. A comprehensive cyber insurance plan also safeguards the insured company or individual from expenses and liability due to data security breach. While your clients should carry their own cyber liability for the data and personally identifiable, stored on their servers, Business firms as well as their clients need to avail cyber insurance plans to safeguard their confidential information and data stored on the server. Why is it Crucial to Avail Cyber Insurance? Companies that manage vital information of customers are also held responsible to maintain the privacy of that information. If cyber crimes occur and the confidential details of its employees and customers gets hacked, such information leakage can have serious consequences on the concerned company. The affected party is legally entitled to file a suite against the company in question and demand monetary compensation which might impose a huge financial loss to the company. This is the reason why around 60% of companies are now considering cyber insurance policy in India to stay financially secured. Who Should You Buy Cyber Insurance? Information Technology Companies such as Data Centres, ITeS, etc. What are the Risks Covered in a Cyber Insurance Policy? How to Choose the Right Type of Cyber Insurance Cover? Any company or individual should be well aware of the potential cyber risks and the techno legal compliance requirements of India prior to taking up a cyber insurance policy in India. This would help the concerned individual or company take the right cyber insurance plan. Any business entity that is looking for a cyber insurance policy must also ensure that their chosen cyber insurance plan covers the whole gamut of cyber risks. Companies and individuals should steer clear of flawed cyber insurance plans that comes with loopholes that leave scope for legal complications and ambiguity at the time of making claims. Before investing in cyber insurance polices, companies and individuals should also obtain a techno legal vetting of the same. There are different types of cyber insurance policies available in India. Among them, cyber liability insurance plans are highly sought-after by financial institutions. According to the ‘Internet Security Threat’ report by Norton (Symantec), there are over 42 million incidences of cyber crime in India every year. The report further points out that eighty people fall prey to different cyber crimes across India every minute. When it comes to spam attack, India ranks top in the entire world. India's position is at number two and three in virus attacks and in all kinds of threats respectively. In a bid to maintain privacy of clients' and internal data, many companies have already embraced cyber insurance in India. To tap into the growing demand for cyber insurance, many general insurance companies in India have come up with cyber insurance covers. Some of the most effective and comprehensive cyber insurance plans are available with New India Assurance, ICICI Lombard General Insurance, National Insurance, Bajaj Allianz General Insurance and HDFC Ergo General Insurance. GIBL.IN is a premiere online insurance marketplace where companies and individuals can compare and buy cyber insurance in India. The portal of GIBL.IN provide details regarding coverage and exclusions of cyber insurance policies available in India so that individuals and companies can go through them at length and cherry-pick the right cyber insurance plan in India as per their requirements. 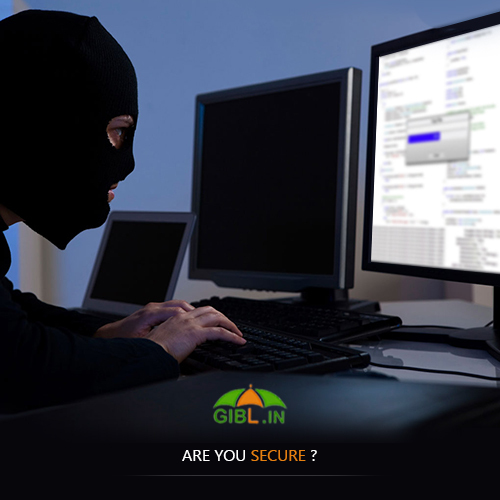 If you need any further information on cyber insurance in India or looking to get a one to one consultation then feel free to contact us at info@gibl.in or call us at 033-6564-1850.